When physical systems are connected to the Internet, there are real privacy concerns, but there’s also more opportunity to record, document, and verify human rights violations. By making investigative tools more accessible to people and institutions, IoT can help more people take part in tracking human rights violations. This is important for creating checks and balances during violation investigations and producing more accurate verification techniques.Amnesty International’s Digital Verification Corps and UC-Berkeley’s Human Rights Investigation Lab are two organizations promoting new and intensive methods to collect credible data about potential human rights abuses. They train students and researchers to “find, analyze, and verify” information about alleged violations to ensure accurate reporting. Sensor data and other aiding data analyzed within IoT systems can provide critical environmental information to cross-reference with other types of documentation—like social media posts, videos, etc. Not only does digital verification of violations become more feasible with internet-enabled devices, it also becomes more accessible. Not all human rights violations are adjudicated in court, but much as in a court of law, all evidence needs to be collected and verified. When physical systems are connected to the Internet, there’s more opportunity to record, document, and verify violations.When physical systems are connected to the #Internet, there’s more opportunity to record, document, and verify #HumanRights violations. || #IoTForAll #IoT #UN #War #Syria #Myanmar #Rohingya #Genocide Click To TweetThe American Civil Liberties Union (ACLU), for example, has “developed [a] Mobile Justice app that allows users to record incidents of police misconduct and routine stops and searches, upload a report to the ACLU, and seek advice on the legality of the conduct” (Source). IoT can add additional verification to bottom-up reporting (as through mobile apps) and can help ensure that it’s accessible and credible.There are countless examples of technology being used to monitor compliance. Companies like BlockVerify, a blockchain-based anti-counterfeiting firm, use technology to record and disrupt fraud. Satellite imagery has been used to document suspected human rights violations, such as persecution that results in the displacement of people. Starting in 2010, according to the Australian Human Rights Commission (AHRC):“The Satellite Sentinel Project … used DigitalGlobe’s sub-one metre resolution imagery to corroborate anecdotal eyewitness accounts from the conflict zone in South Sudan, resulting in a number of reports documenting violence perpetrated against the civilian population by the Government of Sudan and the Republic of South Sudan.”With the increasing sophistication of IoT systems, satellite monitoring may be supplemented with terrestrial infrastructure (and vice versa) to produce hybrid systems with the greatest potential to accurately identify violations. As technological horizons continue to expand, the opportunities for technology-based identification, prevention, and reconciliation of human rights violations do as well.Supply chain management is another clear opportunity for IoT to influence digital verification. According to Deloitte, IoT will help ensure traceability and accessibility of information within the supply chain by incorporating transparent blockchain technologies, and it will provide critical links between physical products and data. IoT will also help track code of conduct violations (including human rights violations) and fraud detection that can occur along the supply chain. I’ve laid out a few examples of IoT being used to change the way we track human rights violations. There are many catastrophic events that are urgent but not necessarily “human rights violations” at face value. For example, natural disasters can cause human rights violations when necessary protections aren’t put in place beforehand, or when the disasters themselves are so catastrophic that their destruction is free from culpability. No one is violating your rights if a surprise storm overcomes your town, but people will likely be deprived of their human rights without quick response and suitable infrastructure. In these cases, IoT can be used predictively to prevent the risk of catastrophe; IoT response systems can help warn citizens and governments before natural disasters happen and make mobilization in response to disasters easier using open data. IoT providers can also help to maintain power grids during natural disasters, possibly saving lives. At this point in the Human Rights and IoT series, it should be clear that emerging technologies like IoT present real and painful challenges to human rights protections. “Dual affordances” is a term used to describe the unintended consequences of new technologies that can enable new abuses. The same technologies that can be used to track human rights violations often enable new platforms that can be abused.For example, according to the AHRC, the right to freedom from violence can be more easily protected and manipulated in new online platforms: “Online environments create opportunities for greater access to information for children while also creating challenges to protect their wellbeing. New technologies provide different settings for harassment and bullying that are sometimes challenging to moderate.”Similarly:“New technology and online platforms present enormous opportunities to advance gender equality and are a powerful tool for women to increase their access to education and information, social connectedness, and … economic security. However, women are also disproportionately the target of personal, sexual and gender-based cyber abuse” (AHRC).Earlier this year, the AHCR reported that “a UN team investigating possible genocide of the Rohingya accused the Myanmar Government of using social media to disseminate misinformation regarding this persecuted Muslim minority.”There’s hope here that technology can be wielded to track the damage it enables; at minimum, those dispersing technology must understand both the risks and protective factors it brings. Verification Doesn’t Imply Action. Who Acts on the Data? If human rights are supposed to be universal, then who enforces them?“While international human rights law applies directly to Nation States,” the AHCR writes, “there is increasing acceptance that non-government actors also have a responsibility to protect human rights through their own actions.”The International Bill of Rights was created with states in mind; states are the ones that are supposed to protect and enforce human rights protections. However, it’s neither probable nor possible that states will universally uphold human rights. In the current human rights “regime,” supranational organizations like the UN monitor rights violations through their far-reaching networks and publish reports. NGOs engage in human rights work on a local and regional level, raising awareness, building cases, and building institutional capacity to support protections. States incorporate human rights language into the laws of their countries and use those laws to hold violators accountable in state courts. International courts of law like the International Criminal Court are used to adjudicate crimes that are considered the “worst kind” of human rights violations and need supranational counsel.Business are responsible (within the UN Guiding Principles for Business and Human Rights) for respecting human rights, identifying their impacts on human rights, and remediating any adverse human rights impacts they cause or exacerbate. In many areas of the world, businesses have the most power to sway economic and political actors and cause change; they can directly or inadvertently cause human rights violations or incentivize their protection. With an apparent rise in corporate “consciousness” through the elevation of Corporate Social Responsibility movements, people are acknowledging that businesses must be held accountable for their effect on vulnerable populations. People are also acknowledging that businesses can be some of the most powerful human rights actors and should be viewed with that potential in mind.IoT systems can help aggregate data about human rights violations, increasing transparency about rights protections (while necessarily adhering to data privacy standards). By democratizing—in a sense—digital verification, and by expanding the scope of knowledge we can have about human rights violations, IoT enables more actors to take charge of monitoring abuses and adjudicate them locally. 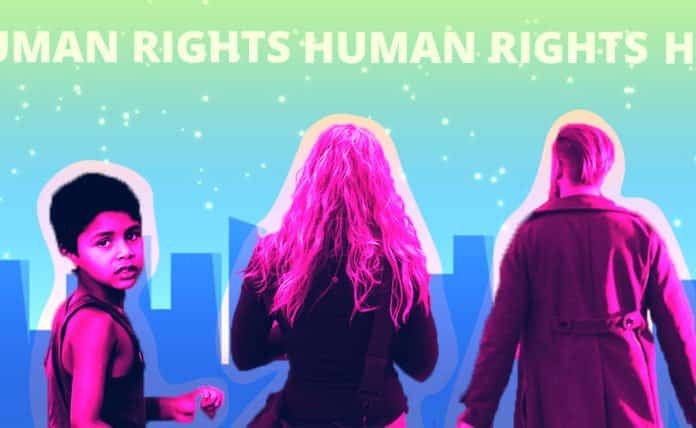 Human rights may not be codified by law in every state, but there will be more opportunity for corporations or NGOs or social movements or etc. to harness the power of IoT: to incentivize human rights protections, to handle offenders, and to take preventive steps to minimize violations.